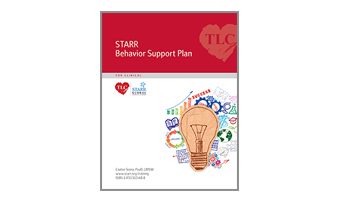 The Starr Behavior Support Plan will help you maintain a strength-based, nonpunitive approach to working with youth in all settings. This Support Plan is trauma informed and resilience focused, and will help you observe behavior with curiosity, exploring not only the behavior itself but the underlying causes for it. It does not focus on changing behaviors, but rather on providing what is needed based upon the student’s private logic and unmet universal needs. This resource will guide you through the assessment and behavior support plan writing process. This 20 page PDF download includes our Behavior Support Plan and Universal Needs Assessment forms. You can complete the forms on your computer or print them out. Either way, you can use the forms over and over again with each of your clients. Ages: elementary through high school.